Has your Spilt System Air Conditioner been working nonstop this summer? The heat is still here to stay and to ensure your AC is able to sufficiently cool your home, regular maintenance is important. Not only will that avoid emergency breakdowns, but also help save money on your energy bills. After all, a well maintained AC will run more efficiently, use less energy, and cost less money to run. A properly maintained system will also last longer before needing to be replaced. Here are some easy maintenance tips for your AC units. 1) Clean the exterior unit – The exterior unit of a split AC system is normally left outdoors. As a result of that, it is subjected to a wide range of outdoor particles. Over time particles like leaves, dirt, and grass clippings will build up on the outside if the system. This directly affects the system by reducing air flow, which in turn makes the cooling ineffective. To avoid this, it is recommended to check the outdoor unit regularly (once in 2 months) for any dust particles or debris. Shut off the power to the unit and use a garden hose to gently wash out the debris. Ensure the water pressure is not too high as it can damage delicate parts of the unit. 2) Clean the Air Filter – The air filter is an important part of the AC system. It blocks dirt, dust, and other allergen particles from entering the air flow. If not serviced regularly, it can lead to dirty or stale air circulating in the house & decrease the air flow. One of the most common symptoms of an allergy & asthma is the AC air filter not being cleaned regularly. Checking the air filter is one of the key elements of an AC servicing. Over time, it can contain a lot of dust & dirt. It should be either cleaned regularly at least once a month, especially during peak usage periods. If the filter old, replacing it should also be considered. 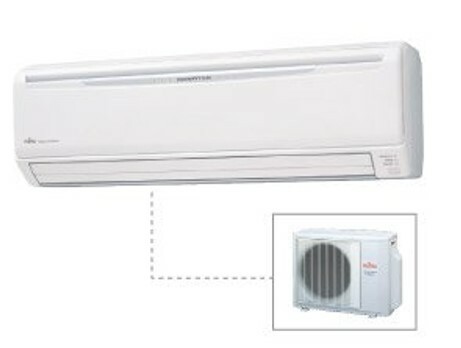 3) Consult an AC expert – By servicing your AC unit regularly by qualified experts, the lifespan of the system increases & it also helps save both money & energy. And you need not worry about your AC breaking down during those hot summer days.